The Rotary and Chief booth at the NADA Expo and ATD Show at the Las Vegas Convention Center may resemble a trip to Paris more than a trip to a trade conference, thanks to the brands’ new augmented reality (AR) art gallery installation. The Vehicle Service Group (VSG) brands will leverage experiential AR technology to provide customers a deeper engagement opportunity with a wide range of products, from vehicle lifts to wheel service products and collision repair equipment, expanding beyond what can be physically showcased in expo booth #2586C on March 23-25. 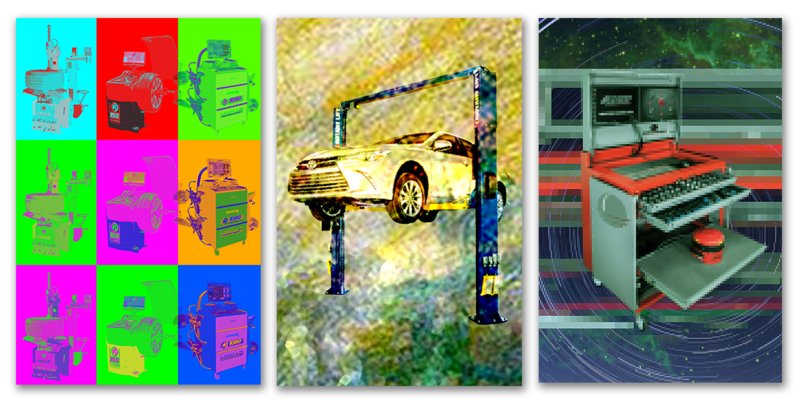 The gallery-styled experience will feature eight custom-made works of art that portray specific products across the lift, wheel service and collision repair lines of equipment. Using hand-held tablets, customers will be able to scan a painting and access a variety of information about the equipment depicted – everything from demo videos to 3D and animated models to product specifications and features. These experiences help bring to life products that may not be physically located in the booth or able to be fully demonstrated and can give a real-time sense of how a piece of equipment can fulfill a dealership’s specific needs. In addition to the AR gallery, the brands will feature select products within the booth to allow for hands-on opportunities. The booth footprint will include the Rotary XA14 alignment scissor lift; Rotary tire changers, wheel balancers and alignment systems; a Rotary SmartLift inground lift; and Chief’s new Meridian Live Mapping computerized measurement system. To learn more about the full line of lifts, wheel service and collision repair products available from Rotary and Chief, stop by booth #2586C at the NADA Expo/ATD Show.